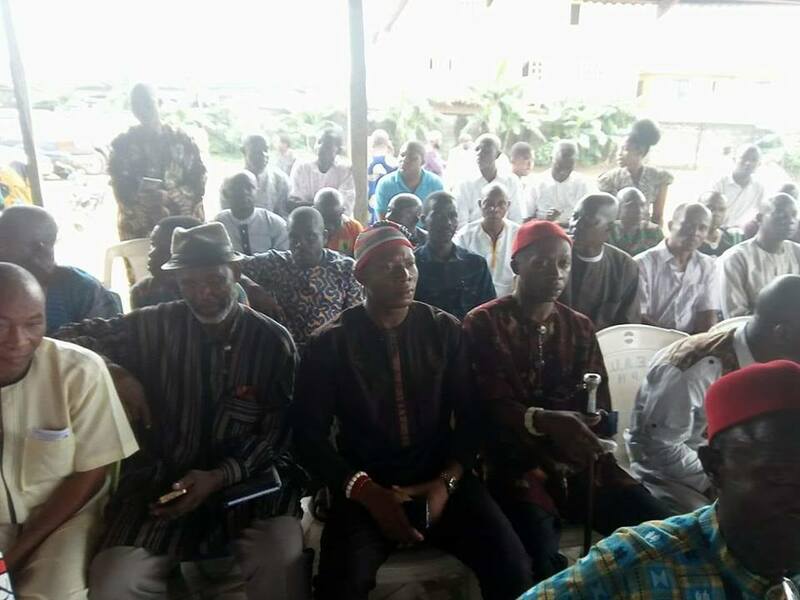 Igweocha elders under the auspices of the Indigenous People of Biafra (IPOB) turned up en masse for a summit on Biafra referendum. 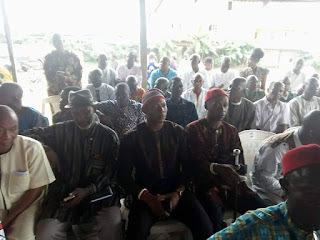 This gathering which comprised of elders from different parts of Igweocha was held on Thursday 9th August 2018. 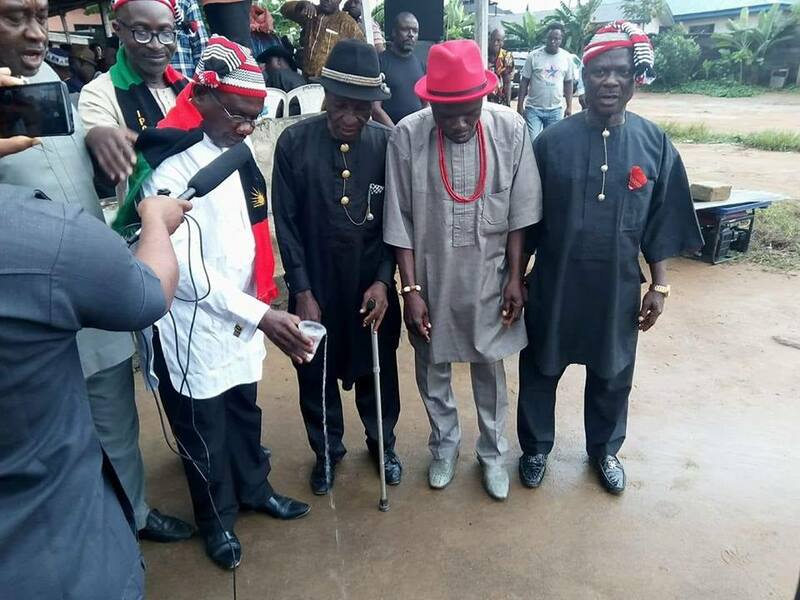 Biafran elders from Ihuruoha (Ikwerre), Eleme, Ogoni, Kalabari, Opobo, Etchie, Ahoada, etcetera, were adequately represented. Each representative boldly identified his tribe with a declaration of total support to the cause of the restoration of Biafra with particular reference to the upcoming referendum. Following the formal introduction of delegates, was a full rendition of the Biafra National Anthem. The chairman of the elders' summit made a presentation of a well-articulated welcome address which basically hinged on the Biafra restoration project. He enjoined his fellow elders to remain strong and focused and sternly warned against involvement in acts of sabotage. "We have come this far to begin to contemplate quitting from the struggle", he further stated. The chairman in unmistakable terms assured that the calls for Biafra referendum/restoration have the full backing of the Igweocha elders. They unequivocally condemned the position of Ohaneze Ndigbo and disassociated themselves from their acts of subterfuge against Biafrans. The elders voiced out their disdain for Nigeria Restructuring and instead, re-emphasized their stand for Biafra Referendum which is the only panacea for lasting peace in the Nigerian contraption. They called on the International community to lend their support to this laudable project which is in line with International laws justifying self-determination efforts of all oppressed indigenous peoples globally. Some Biafra veterans who attended the summit equally voiced out their support for the upcoming referendum. They maintained that the cause for which they stood and fought between 1967 and 1970, with millions sacrificing their lives, will never be compromised. The veterans unanimously stated that they were ready and prepared to do the needful again if duty calls, until total freedom for Biafrans is achieved. Some consecrated pastors amongst the elders earnestly prayed that God Almighty in His infinite love, mercy and wisdom should grant us Biafra. Some measures of advice and encouragement were equally given to embolden both the men and women elders that were present, in the struggle which will soon pay off. The women elders who were adequately represented in their uniqueness as Biafran mothers, rendered a song in support of the referendum, titled "If Nnamdi Kanu was not born, we would have all been lost and finished. But since he has been born, glory be to God". The event which was fully streamed live by Family Writers Press crew who documented proceedings in the summit recorded commendable success. The IPOB Igweocha elders gathering stands out as one of the best programs in recent times that has taken place in this part of Biafraland. The evolving encouraging developments so far, confirm that the restoration of the sovereign nation of Biafra is already here with us.